Disco was dead, until they brought it back! With the new threat of dancing mice upon the horizon, the Digby Dance Scientists brought back this old, instructional discobot. Now you can keep on staying alive hunting mice! The Forgotten Art of Disco Dance Skin can be used on The Forgotten Art of Dance. The trap's stats (power, power bonus, attraction bonus, etc.) are not changed. 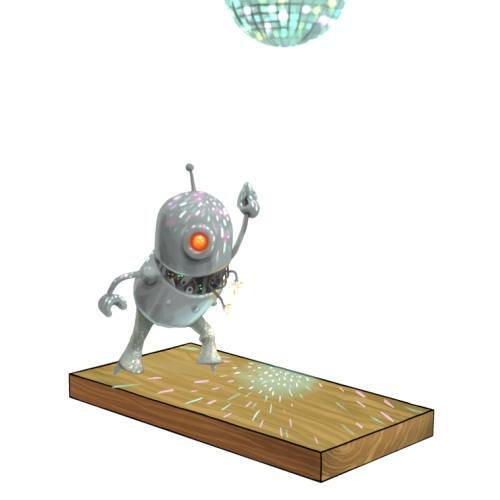 The Forgotten Art of Disco Dance Skin may be made available during the annual MouseHunt Birthday event and can be traded on the Marketplace or through Give To Friends. 5 March 2014: The Forgotten Art of Disco Dance Skin was released at the start of the MouseHunt's Sixth Birthday event. It was available at the Dance Hall Trapsmith for 25,000 gold, 1 Disco Ball, and 75 Party Supplies. This page was last edited on 9 December 2017, at 15:44.